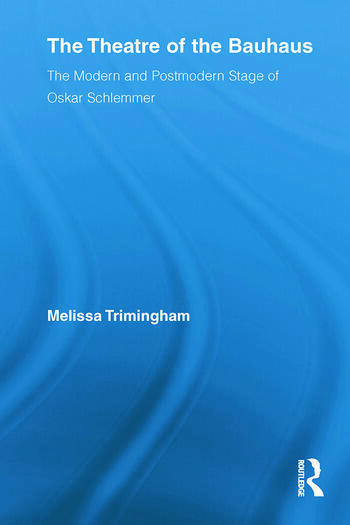 Focusing on the work of painter, choreographer and scenic designer Oskar Schlemmer, the "Master Magician" and leader of the Theatre Workshop, this book explains this "theatre of high modernism" and its historical role in design and performance studies; further, it connects the Bauhaus exploration of space with contemporary stages and contemporary ethics, aesthetics and society. The idea of "theatre of space" is used to highlight twentieth-century practitioners who privilege the visual, aural, and plastic qualities of the stage above character, narrative and, themes (for example Schlemmer himself, Robert Wilson, Tadeusz Kantor, Robert Lepage, Pina Bausch). This impressive volume will be of use to students and academics involved in the areas of twentieth-century performance, the history of performance art, the history of avant-garde theatre, modern German theatre, and Weimar-era performance. Melissa Trimingham is a Lecturer in Drama at Kent University.